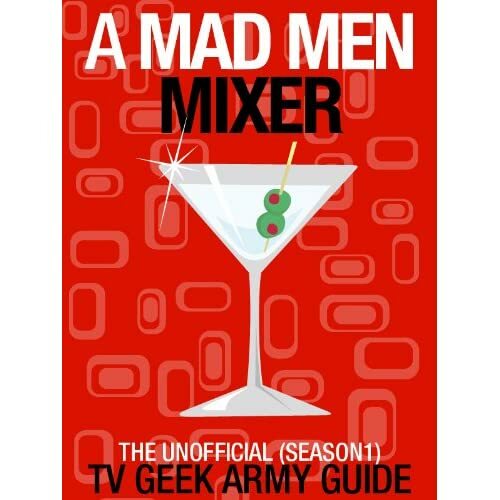 Posted on Thursday, May 23, 2013, by Eric - TV Geek Army "Revered Leader"
As each new Mad Men season progresses, I enjoy relating where the characters find themselves in comparison to when we first met them in Season One's 1960. I've often wrote about how Season One represented Don Draper at the height of his Master of the Universe powers. 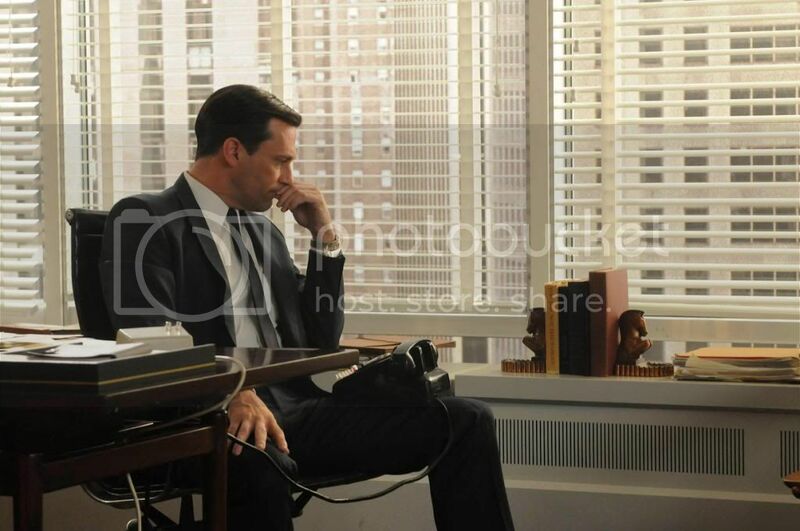 It was the zenith of the Company Man in the United States, and into the fray comes Don, a physical specimen bursting with mysterious and powerful insights into the psyche of consumers and, more importantly, Sterling Cooper clients. Yet even from the jump there was vulnerability there, an allusion to a painful past, and that's what made him interesting and made us want to know more. The Draper we first met could be brusque and callous, but he could also be quite kind and often reasonable under the terms of his own personal code: he protected Peggy on her first day as his "new girl" from the obnoxious Pete and later graciously brushed aside her awkward romantic advances, for example. Even though we recognize by the end of the pilot that he is unfaithful to wife Betty, he treats Midge kindly and at the end of the episode checks in on his children, hovering over them with fatherly affection. It's been a long road since, and by mid-Season Six we have a very different Don. His past is mostly known to us (though we're learning more about his early teenage years living at a "house of ill repute" this season) while we see a man who is more often self-involved, tuned out, and deluded than kind, gallant, or dare I say powerful. Many people wondered if Don's descent into alcoholism and depression around the time of Season Four's "The Suitcase" represented his personal "low point," but obviously Matthew Weiner and company have found new sub-basements for our anti-hero of sorts to explore. There has also been much speculation for years that the animated man seen falling off a building during the show's opening credits is the foreshadow of an actual suicide that will take place on the show (even Lane's suicide-by-hanging last season hasn't completely prevented this continued speculation). The more I think about it, I believe it represents Don's descent. Not coincidentally, we've seen Don reading Dante's Inferno this season, a gift from now ex-mistress Sylvia. A major theme this season is doors and doorways. Roger Sterling laments to his therapist that life is a series of doors that you open, only to find yourself in front of yet more doors. Familiar options without additional insight about how to get to the next place. The question for Don Draper before all is said and done is: where will his doors lead? Or to get back to the falling metaphor, how much further will he descend, and if and when he hits his "real" bottom will he recognize it and seek to do something about it?